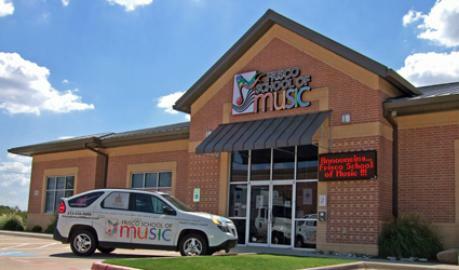 Located in the middle of Frisco on Preston Road at Main Street, the school features 28 private and group teaching studios (six of the group studios morph into a 175 seat Performance Hall), a comfortable waiting room area with WiFi, and a professional registration area. The school is located in a brand new office park with many convenient restaurants and services close by. We are conveniently located in the heart of Frisco on Preston Road at Main Street (North West corner). Our location is easily accessible for the Frisco, Plano, Allen, McKinney, Prosper, Celina, Little Elm and The Colony communities.